Payment Giant MasterCard is currently testing a new system for online credit card payments: facial recognition. This technology offers increased security, but fails, like many other technological safeguards, to protect you from theft at gunpoint. If someone were to steal a user’s card that had facial recognition enabled, they would be unable to make a purchase. When a user with the feature attempts to make a purchase, a companion app will pop up and ask for authorization. The user must then look into the camera and blink. After completing the task (to ensure that the camera simply isn’t looking at a photograph, funds can be moved. According to CNN, MasterCard has partnered with every smartphone manufacturer to bring the app to the market. The authentication technology will be tested by 500 customers then released to the public after that. Along with facial recognition, smartphones that are equipped with fingerprint scanners will also be able to authenticate payments. Like many of the other MasterCard projects that are in development, little is to be said about the technical details of the technology. The facial recognition functions a bit like 2fa, enabling a second security method for protecting user funds. MasterCard did tell CNN that the app doesn’t store an image of the user’s face or fingerprint, but rather a digital signature of the unique characteristics of the user. While the app wouldn’t allow anyone to reconstruct an image of the user’s face, that data is stored on a central server rather than locally on the user’s device. It would not be unlikely to see Bitcoin wallets implementing some kind of facial recognition security function in the future. Sure we already have multisig, but for wallets designed to hold savings, the more security, the better. Modern day smartphones have the power to easily run facial recognition processes without breaking a sweat. While MasterCard has yet to implement Bitcoin, they have been innovating new technology and applications for digitalized payments through their cards. 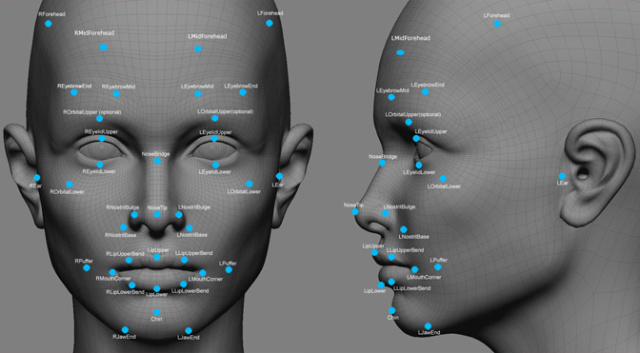 What do you think about MasterCard’s facial recognition software? Comment below!